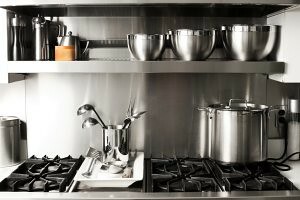 For those who count holiday gifting as a serious annual priority, it's probably time to ponder over the possible options. I baked something for my colleagues last Christmas but I honestly cannot recall what I had baked for them.... I will need to remember to check with them when I get into the office next week... goes to show how much I value the tradition of gifting. This is the first time I am working with chocolates and am hoping to churn out something decent enough to be given out as Christmas treats. 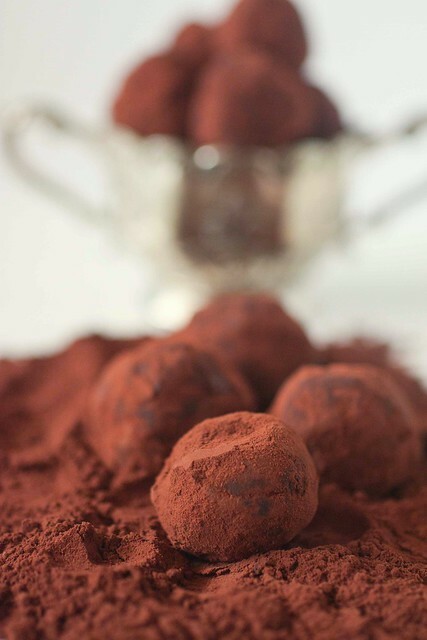 Chocolate truffles do not require tempering so that really makes it the entry level chocolate assignment for anyone who is looking to create their own chocolate treats. I found this recipe in Chocolate Desserts by Pierre Herme. What intrigued me was the incorporation of Sichuan Pepper in the recipe. As the recipe accurately points out, Sichuan pepper has more flavour than burn, more sweetness than heat, so what you get from this truffle is a very mild exotic zing at the tip of the tongue. A taste more suited to one with a more adventurous palate but I do find myself enjoying it. For those who are keen to try this recipe, take advantage of the 20% discount on all Valrhona chocolates at Shermay's Cooking School now until the end of this month. 260g Bittersweet Chocolate, preferably Valrhona Caraibe. 50g Unsalted butter, at room temperature. Cut into 4 pieces. Dutch processed cocoa powder, preferably Valrhona for dusting. 1. Please chocolate in a heat proof bowl and set aside. 2. Place cream and crushed sichuan pepper in a heavy saucepan and heat to boil. Remove from heat and cover tightly with a plastic wrap and let the cream rest for 10 mins to infuse it with the pepper. 3. Pour the cream through a strainer. Return the strained cream to the saucepan. Add in 1/3 of the pepper in the strainer and throw out the rest. Heat up cream to boil again. 4. Strain the cream into the chocolate. Slowly stir the cream into the chocolate until well mixed. 5. Rest the hot mixture for 1 minute. Add in butter one piece at a time and stir until fully incorporated. 6. Cool (5) in the refrigerator for 1 hour. Cover chocolate with a plastic wrap and chill for 3 hours. 8. 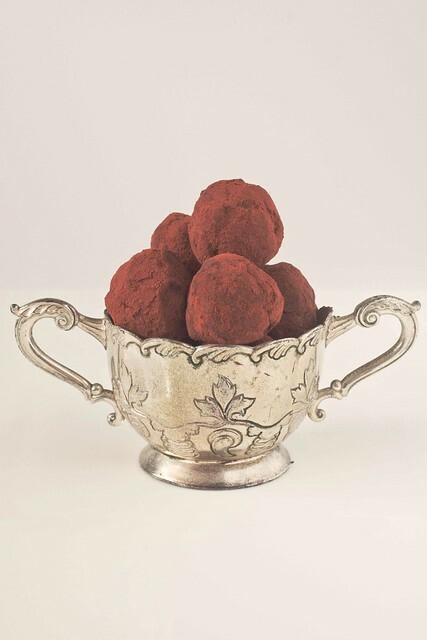 Place (7) into a shallow tray with cocoa powder and coat each truffle with cocoa powder. Sichuan peppercorns are only sweet and fragrant when we can get the 'fresher' ones. I'm intrigued by this recipe, a bit like using chili powder in chocolate baked goods. Can I 'order' my Christmas treat in advance? Very interesting creation with sichuan peppercorns , curious how it taste . peppercorns in chocolates! first time I saw this ingredient in sweets...interesting! I think this works! Of course! One of my fav chocolate combo is with chilli. Sichuan pepper? I will try! I tasted chocolate with chilli but will be first for this one. I am game! Ya, this sounds really interesting and I bet it taste great as well. how unique to see sichuan pepper in a western sweet, they look good! I have never tasted chocs with sichuan pepper. hmm... shichuan... that's interesting, but then again if its pierre's recipe, i would believe this was extreme delish! Time flies but not as fast as those would make it to my belly. They look fabulous. This is a luxurious treat! 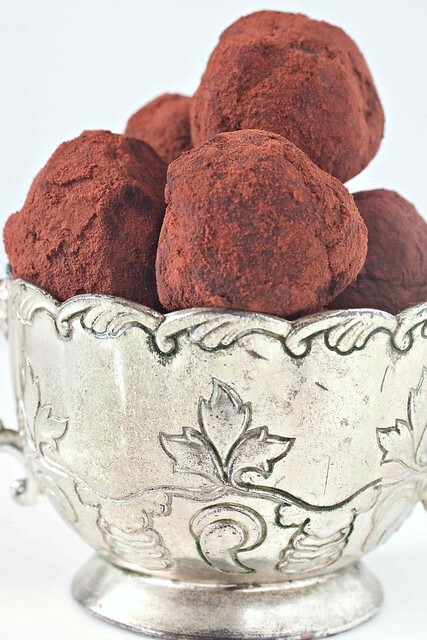 truffles are one of my favorite desserts and one of my favorite things to make. so yummy and rich! I had it with bush oysters...yum.